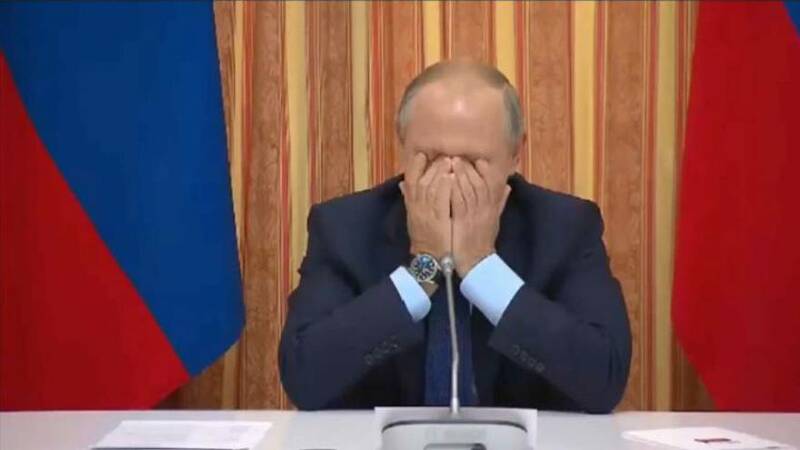 Russian president Vladimir Putin could not help laughing when Minister of Agriculture Alexander Tkachov mentioned exporting pork to Indonesia, a Muslim-majority country. During the October 13 meeting on the development of agriculture, Tkachov proposed increasing pork meat exports to Asia. “They (Germany) send half their pork to export. Look at Germany’s numbers: five and a half million tonnes of pork produced a year, of that almost three million is exported to all countries, to China, to Indonesia, to Japan, Korea, and so on,” said Tkachov. Putin then laughed and covered his face. Eating pork is prohibited in the Muslim religion.